Come join the City of Alameda Democratic club for our annual holiday luncheon! 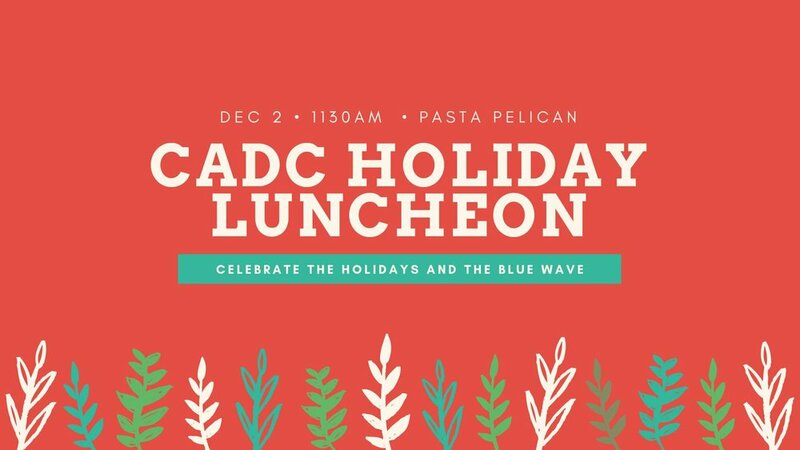 Join us as we celebrate the Blue Wave that is taking back our city, our state, and our country, and meet the officers who will be leading the CADC into 2019. Tickets are priced at $45 and include membership in the club for 2019! You can purchase tickets here!